Do you think that your PPT is too boring? Trying to add a lot of cool special effects on it would waste a lot of time and vigour. So it is definitely a good choice to embed background music for PPT. But how to put music in PowerPoint? Is it difficult? This article will show you how to put music on PowerPoint. Keep reading to get more details about how to add music to a PowerPoint presentation. Why We Put Music in PowerPoint? We often see such a phenomenon: when we are viewing someone’s presentation, we usually feel visually tired and uninterested because too much text and complex contents are involved in his PowerPoint. However, if we are the speaker, what can we do in order to capture the audience’s attention and then convey our thoughts? Thus, how to make our PowerPoint more attractive and outstanding without too many complicated processes? Insert music into PowerPoint must be a great way! As the PPT slide page rolls over, a wonderful piece of music will ring around our ears. This kind of situation must attract a lot of audiences. However, how to insert music into PowerPoint? Here I will share a simple way with you. 1.Dolby 5.1 Surround Sound supported, which means you can experience stereo music. 2.It can improve audio quality and power up your surround sound on earphones. 3.Provide a lot of output devices and formats, such as ALAC, WAV, FLAC, etc. Why We Can't Add Audio to PowerPoint? Before you insert music in PPT, you should know which audio format is supported by PowerPoint. As for PowerPoint 2007 and 2010, .aiff, .au, .mid or .midi, .mp3, .wav and .wma are supported. For PowerPoint 2013 and 2016, all of the above plus MP4 audio (.m4a) are supported. 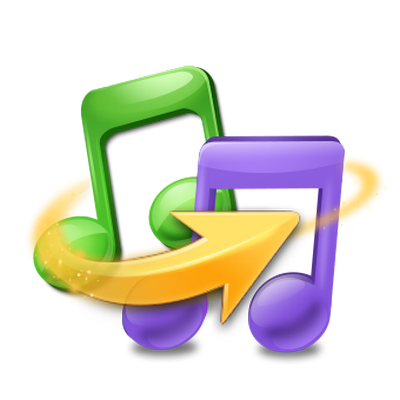 Moreover, if your music format is not listed above, you can use an audio conversion program for music formats conversion. For my part, I've been using HD Video Converter Factory Pro for a long time. I often use it to converts MIDI to mp3, convert my music formats and increase my audio volume. It provides conversion of audio/video formats and HD video edit. Thus, I never worry that how to put music in PowerPoint because of unsupported formats. Nevertheless, what impressed me most is that there aren’t any annoying ads in it. Before start, please free download the software to help you convert audio formats. How do you add music to a PowerPoint? It is not difficult! As we all know, the location and layout may vary due to different PowerPoint versions, but the operational methods are basically the same. Therefore, you needn’t to worry that your PPT version is different from the one that is demonstrated in this article. The latest version of PPT is PowerPoint 2016. Thus, this article will show you how to put music on PowerPoint with PPT 2016. Step 1. Before I tell you how to put music in PowerPoint, you should firstly open your PowerPoint and run your PPT presentation. Step 2. Click the slide you want to start to play music. Of course, If you want your music to run through the whole PPT, choose the first slide. Step 3. Click “Insert” on the menu bar and click audio in the “Media” group. Then choose “Audio on My PC. Step 4. Select the music you like and click “Insert” button. Then you will see a horn icon appear on your PPT slide. Step 5. Click the horn icon. Then there will be a Playback tab appears in the menu bar. You can choose Trim Audio, Fade In/Out, adjust volume or other customizable Audio Options. Step 6. You can click “Play in Background” directly. Thus, your music will play automatically and makes the audio play across multiple slides. After that, look at the overall effect of your PowerPoint and save the file. I believe that you must know how to put music in PowerPoint according to my introduction. Isn’t it very simple? Of course, if your audio format is not supported by the PowerPoint on your computer, but you like the music very much. Try the audio formats conversion program I mentioned before to help you convert audio formats and then you'll know how to put music in PowerPoint. Besides, if your presentation is longer than music duration, you can merge the audio files, and then insert music into PowerPoint. Well, I'm glad to share my experience of how to insert music into PowerPoint with you and I wish all of you know how to add music to PowerPoint slideshow after reading this article. 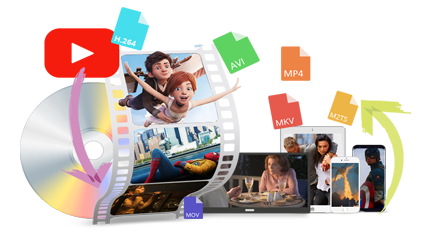 Moreover, except audio conversion, HD Video Converter Factory Pro also supports the newest encoder H265 and other video/audio formats. It can convert video/audio to 200+ formats like AVI, MP4, MKV, WAV, FLAC, etc. Besides, you can also download video from 300+ mainstream websites.